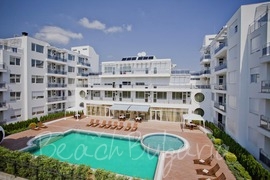 Festa Pomorie hotel is located on the south sand beach of the town of Pomorie. The complex consists of a hotel and an apartment area and provides a lot of opportunities for relaxation as well as high level of service. 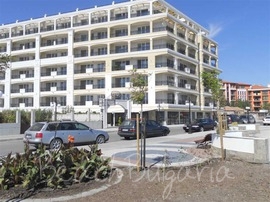 Marina Holiday Club is located at the entrance of the town of Pomorie. 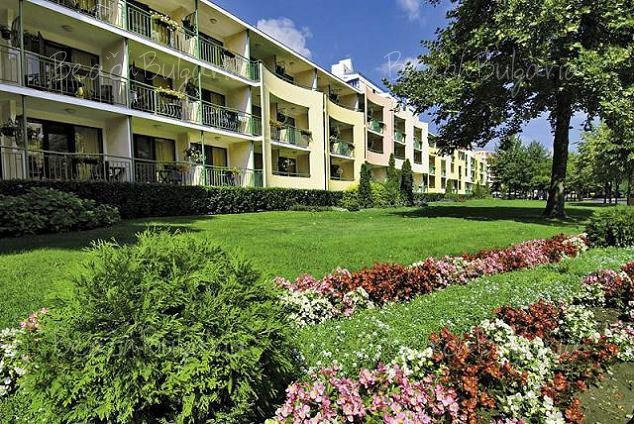 The hotel is situated just 100 meters from the beach close to a forest. 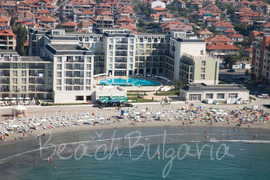 Saint George Hotel and Spa is situated right on the seashore, 10 meters away from the beach in Pomorie Black sea resort. 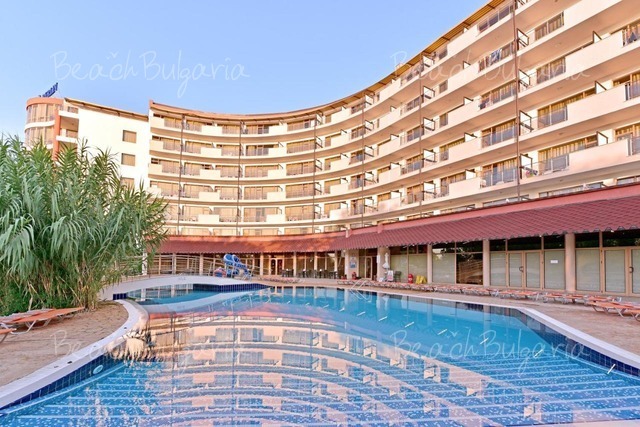 Via Pontica resort is situated in the town of Pomorie, 15 km north from Bourgas international airport and 18 km from Sunny Beach. 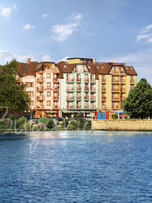 The complex combines a luxury 5-star hotel, spa center and winery built in 1932. 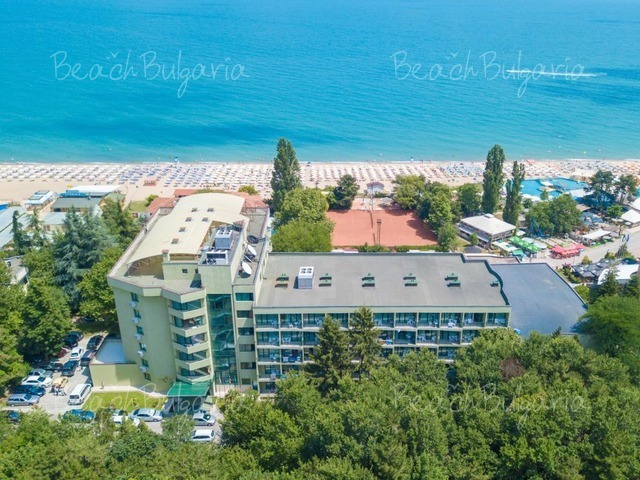 Incognito Hotel is located only 150 m from the sandy beach (3 minutes walk), 200 m from the Sunset Aquapark, in the new part of Pomorie. 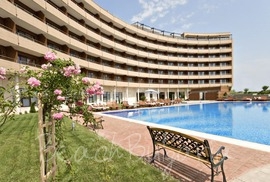 Pomorie Bay Apart Hotel is located right on the beach at 5 minutes walking distance from the centre of Pomorie resort. 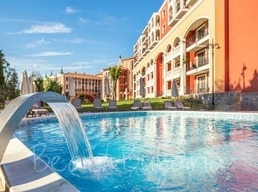 The hotel features 116 air-conditioned luxuriously furnished guestrooms. 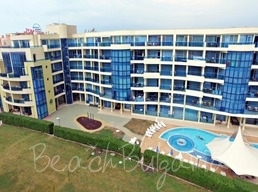 Regatta hotel is located on the beach in the old part of Pomorie Black sea resort.